Being Frugal and Making It Work: I'm the Featured Blog at The Wednesday Window! The Wednesday Window is the window into the blogoshere, where you can meet bloggers with similar interests, and where you can get extra exposure to your best blog posts. I'm thrilled and honored to announce that I am this week's featured Wednesday Window blog! The featured blog is Being Frugal and Making It Work, a frugalicious blog about living a frugal life and a blog full of fabulous reviews and giveaways. Being Frugal and Making It Work is written by Bridget a mom of two and a long-time online friend of mine. Bridget and I met years ago at Gather.com, and ever since we have connected through our frugal lives. Congratulations to Being Frugal and Making It Work, you have won a free week's ad space at Frugality Is Free. 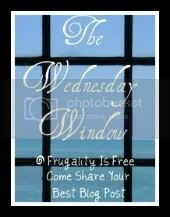 Come join me at the Wednesday Window @ Frugality Is Free. The place to promote your best blog post of the past week. I am a new follower from the Wednesday Window. I love your money saving ideas!